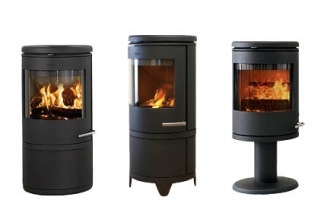 Morso Cylinder Stove range include Morso 7400 Series, Morso 7600 Series and Morso 7900 Series. 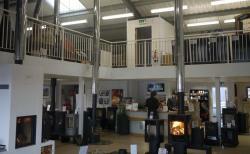 All of the Morso 7000 Series are wood burning stove that are Defra Approved for burning wood in smoke exempt areas. 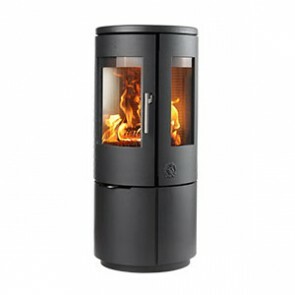 Morso Modern Stove designs are truly inspired with a vast amount of choice. Simply pick the 7400, 7600 or 7900 stove body and choose a base, plain base, log draw, log store, open base, pedastal or even wall hung. 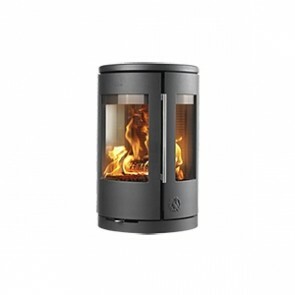 The Morso 7400 series is a 4.3 kW heat out put with 82% efficieny and are able to have a top or rear outlet. The Morso 7600 series is a 6.2 kW heat out put with 75.9% efficieny and are able to have a top or rear outlet. The Morso 7900 series is a 7.3 kW heat out put with 79% efficieny and are able to have a top or rear outlet.